Okay, chances are when you were nearly peeing yourself the first time you saw The Ring, you weren't thinking about which jewel-tone pillow would look best being squeezed for dear life. But the devil is in the details, and these things matter. So, if you're planning on scaring yourself silly, you'll need to stock up on essentials beforehand — plenty of fluffy pillows, yummy snacks, and cozy blankets — to ensure you get through the night safe and sound. Here are 17 scary movie must-haves that will set the mood and keep you calm through even the most chilling scenes. Biting down on an unpopped kernel when you're expecting a tasty treat can be a startling, not to mention painful experience. 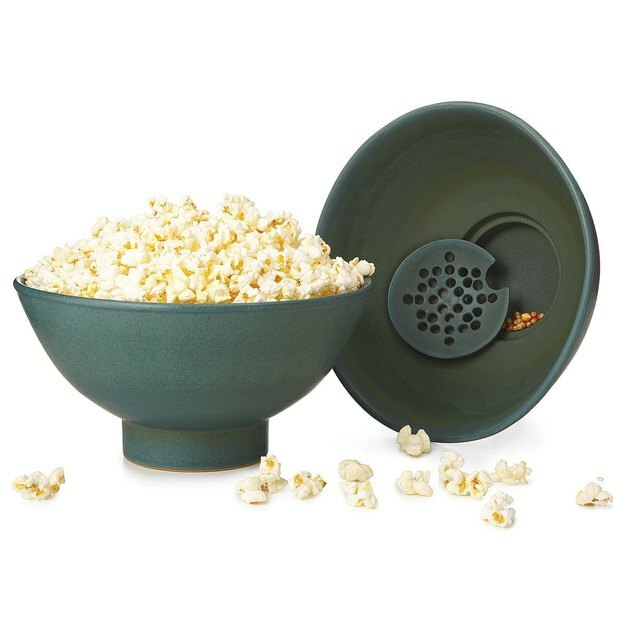 Leave the fright night scares to the movies with this clever self-sifting popcorn bowl made from glazed stoneware. 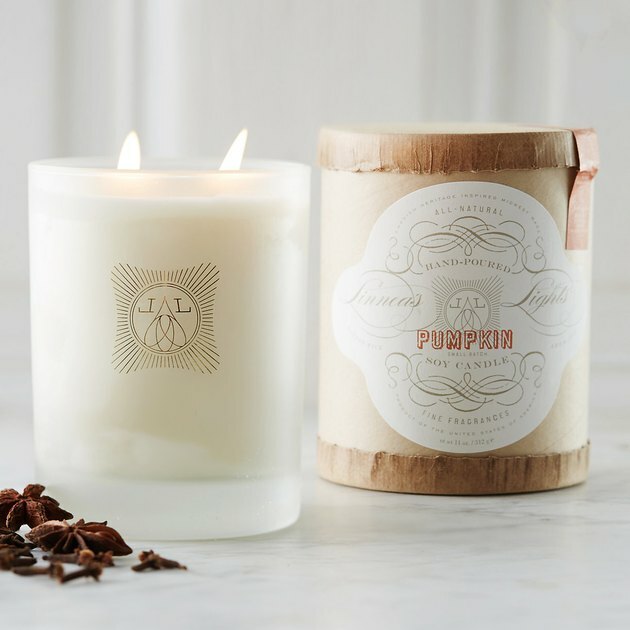 The flickering flame and fall-inspired aroma of this pumpkin-scented soy candle will easily set the mood for your horror flick marathon. After all, scary movie nights are all about ambience, and this candle has 60 hours worth. 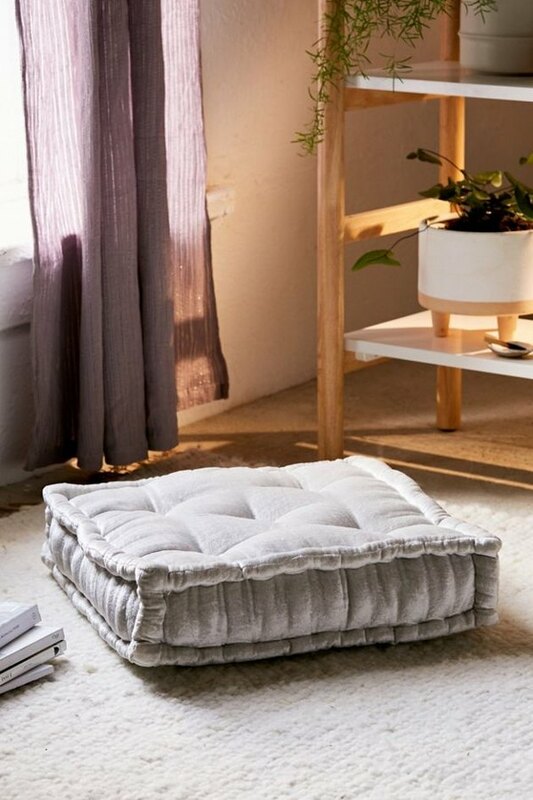 Too anxious to recline on the sofa? Opt for lounging on these tufted velvet floor pillows instead. Now you don't have to worry about disturbing anyone with your nervous fidgeting. 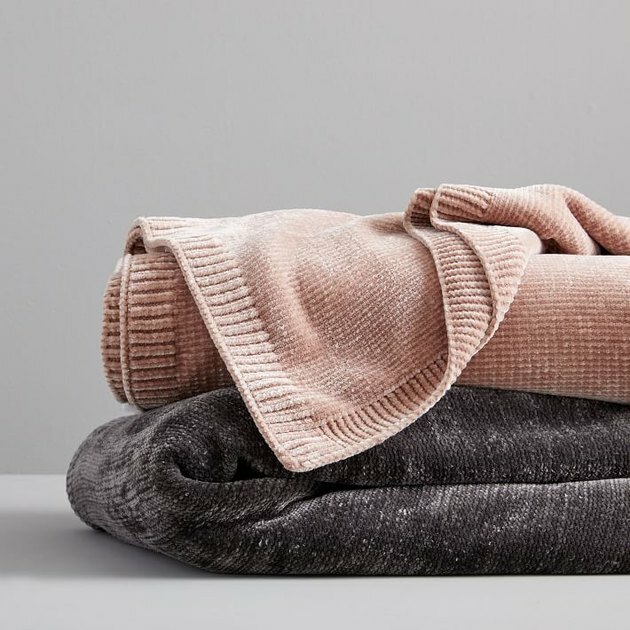 Nothing makes you feel safer than curling up in a soft cozy blanket. And this chenille beauty is a perfect example. Its lightweight construction is extra comfy and will soothe your every fear. Scary movies can cause loads of anxiety and tension. But don't stress out. 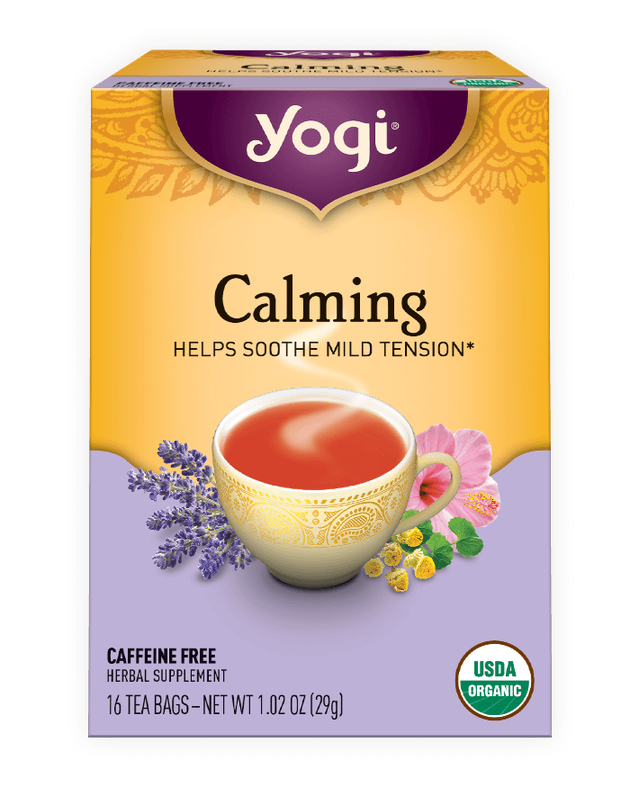 End the night with a warm cup of calming tea so you can relax and unwind with ease. 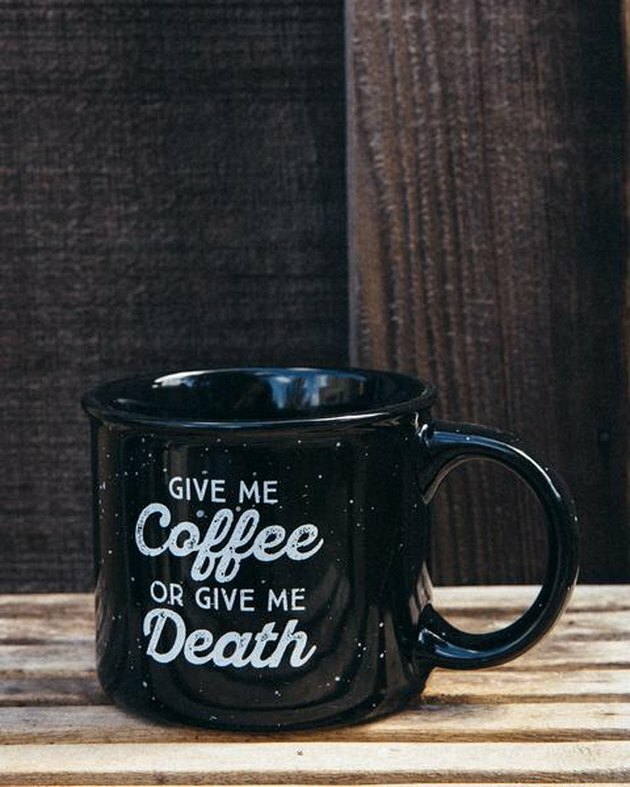 Or, if tea isn't really your thing, opt for an Irish coffee in this ceramic campfire mug to steel your nerves. Feeling the need for a little liquid courage? 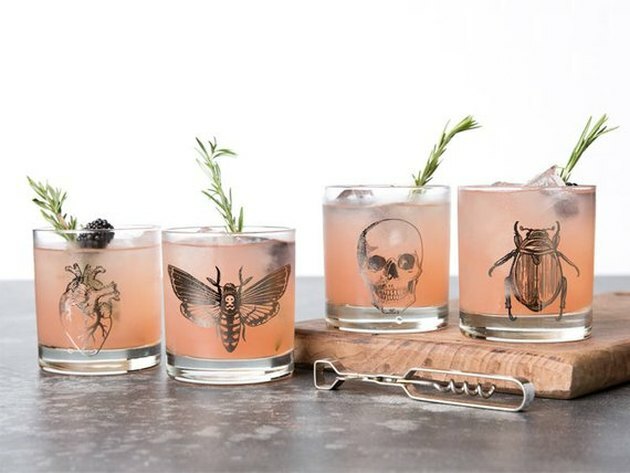 This spooky tumbler set is an ideal match for your chilling cocktails, ensuring you stay hydrated and brave all night long. 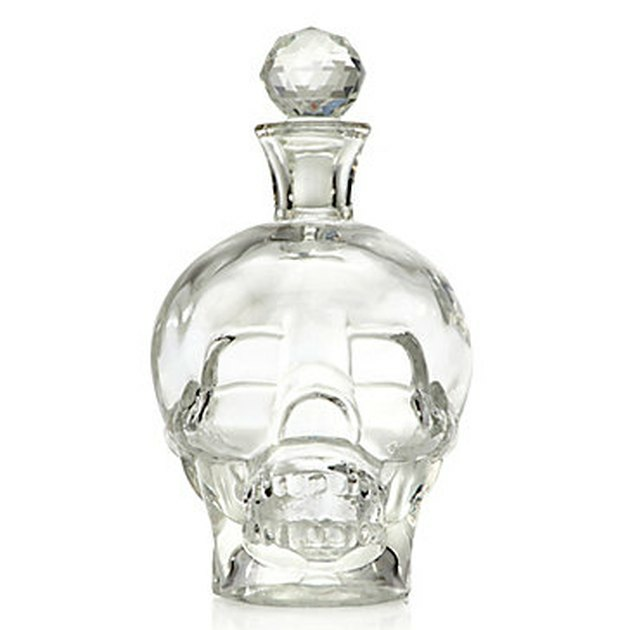 And speaking of liquid courage, we just can't get enough of this eerie glass skull decanter. Although, be forewarned: its scary shape might dissuade you from partaking. Pour at your own risk! 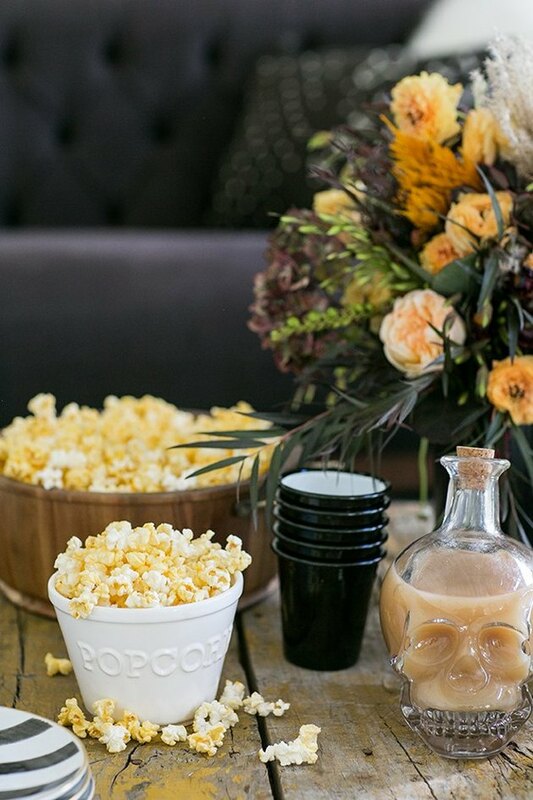 You can't have a gathering without flowers, even a scary movie night. 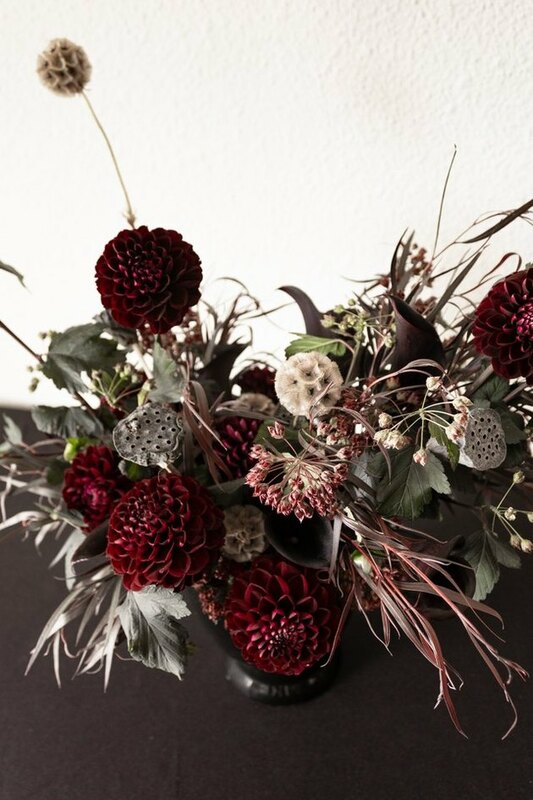 And this spooky DIY floral arrangement strikes just the right tone, bewitching all who cross its path. Scary movie night 101: Don't turn off the lights. 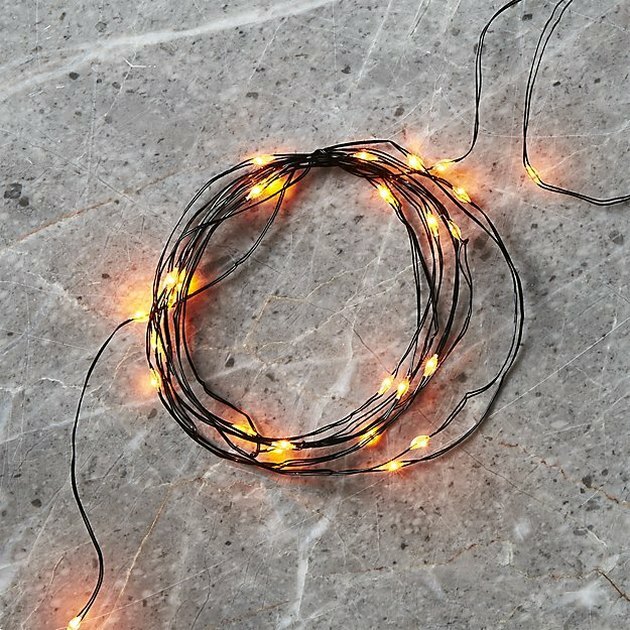 Instead, drape a few strands of these minimalist twinkle lights around your digs for a warm glow. You'll need something to cling to when the plot takes an ominous turn. 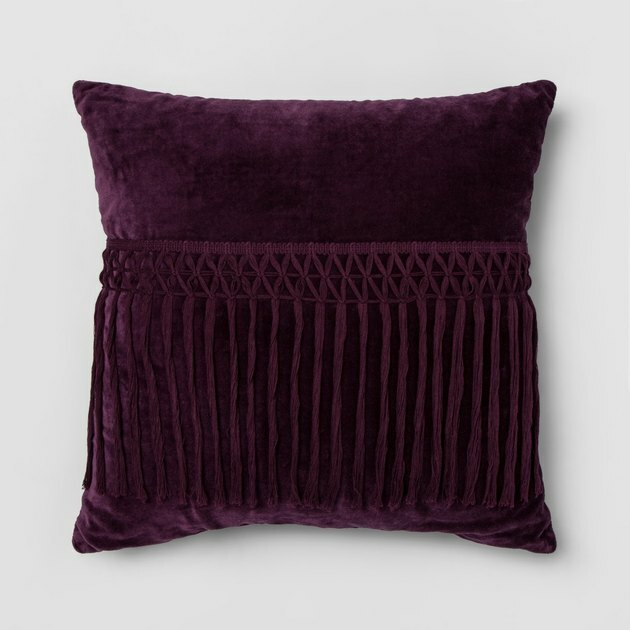 This fall-inspired velvet accent pillow with fringe detailing will make you forget all about that knife-wielding villain on the screen. 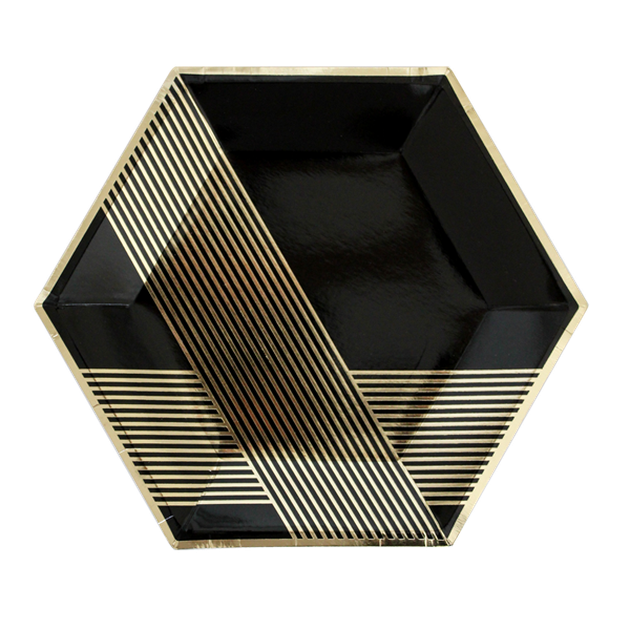 Plus, this jewel-tone piece will look incredible in your boho-chic pad. 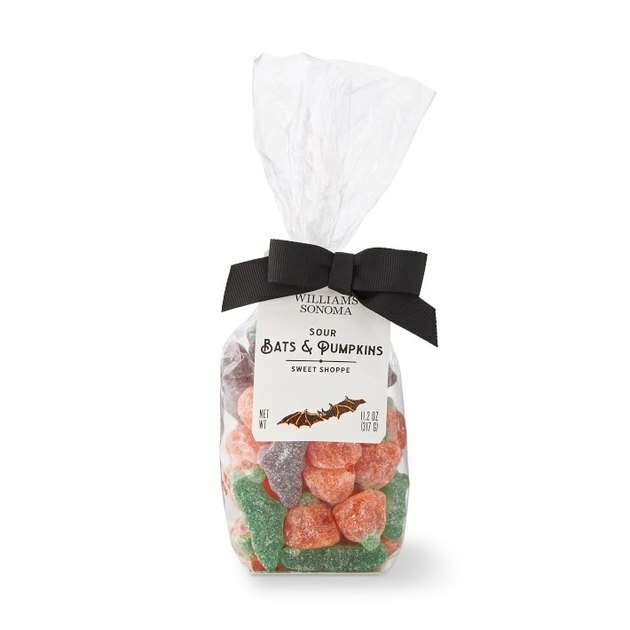 Pretty much any moviegoer will tell you that candy is an absolute must-have, and these hauntingly delicious sour gummy bats and pumpkins definitely fit the bill. Their tangy fruit flavors, coated in sugar, promise to be an instant crowd-pleaser. Even your candy deserves a scary-movie makeover. Pretend you're operating Frankenstein's lair by filling these vintage-inspired glass apothecary jars with colorful sweets like Erin from Earnest Home Co. did. 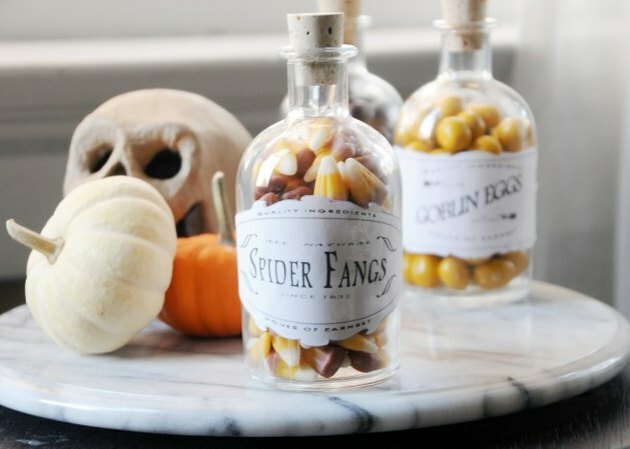 She's even provided these free printable candy labels to complete the look. Scary movies have a tendency to leave you feeling a little ... well, scared. Not to worry. This raw crystal will protect your home and keep you safe. 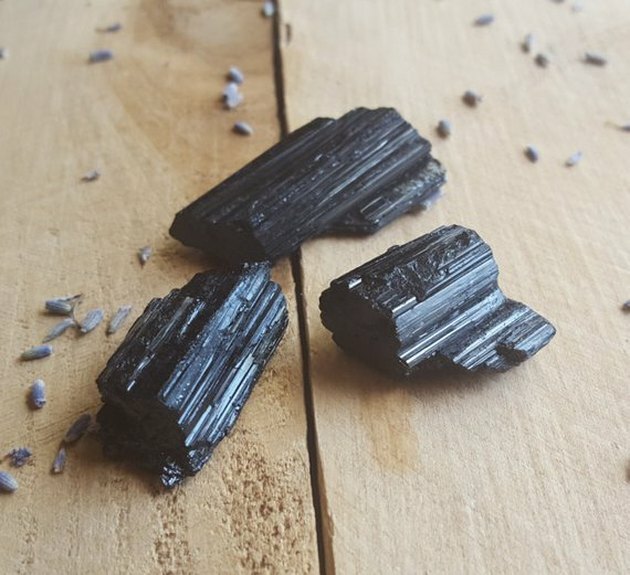 "Black Tourmaline protects against negative energies by absorbing and neutralizing them," according to Lindsay from TheHippieShip. Sounds good to us! 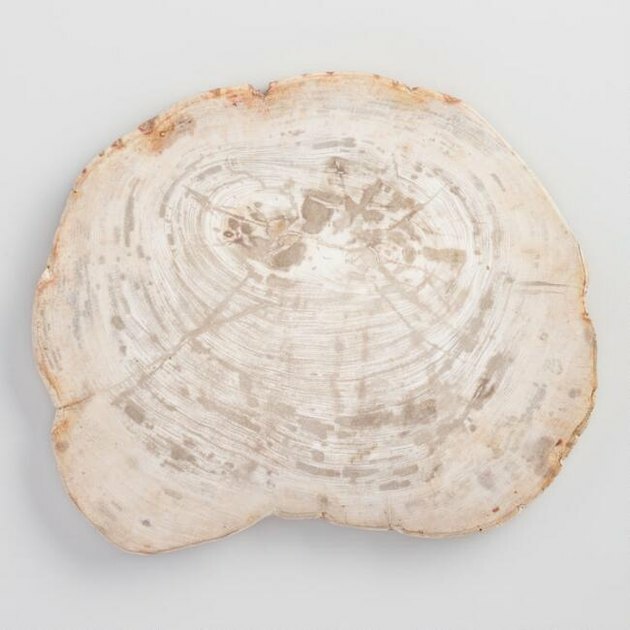 Dress up your charcuterie spread with this pale-wood cutting board from an ancient tree. At least you won't be the only thing that's petrified at your scary movie night. Don't hover anxiously about the snack tray. Grab a plate, load up with a few must-have treats, and quickly retreat to the safety of your pillow and blanket fort as you watch the suspense unfold. And last but not least, don't forget about decorating outside. 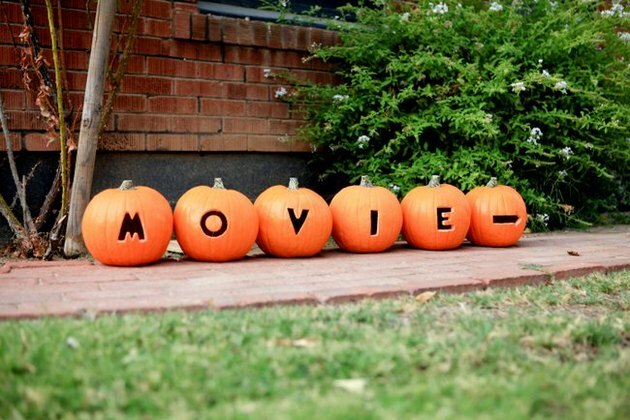 Leave your guests a trail of carved pumpkins to light their path, ensuring they make it to the movie in one piece.